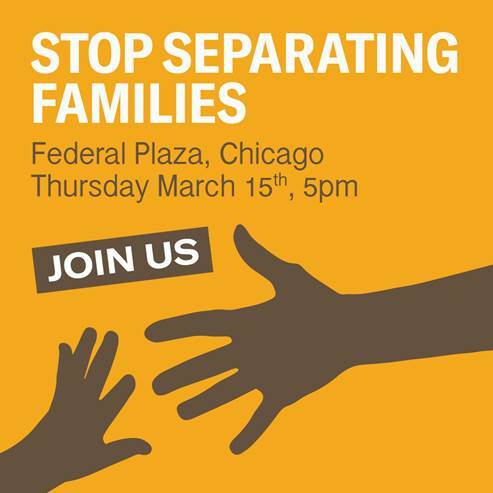 TODAY, March 15, CAIR-Chicago will join a coalition of community groups, religious leaders and others concerned with fair and decent treatment for immigrants in detention to call on all Chicago area residents to join them at the Federal Plaza in downtown Chicago on TODAY, March 15th at 5:00 p.m. to demand that the federal government stop separating mothers and small children while in immigration detention. The vigil and rally come after news reports – and a lawsuit – revealed that a Congolese woman has been separated from her 7-year-old daughter for months, after the two arrived in San Diego seeking asylum. Immigration advocates across the nation report that more mothers and families have been separated in this way. Last week, a nationwide class action lawsuit was filed to address the issue. CAIR-Chicago’s Deputy Director Sufyan Sohel named one of Chicago Scholars 35 Under 35 Leaders Making an Impact!